I hear the school bell ringing in the background and its time to get those kiddos ready for the first day. Here are a few ways to get organized, pack lunch boxes, help with homework and a clever homework station. I love the organizing tips Polka Dot Chair has on this post and I really love the Homework Station. I need one of these in my office! 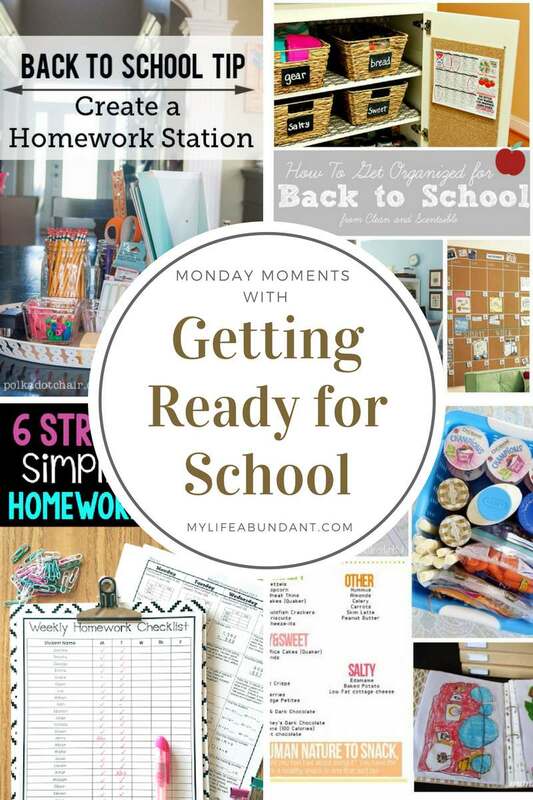 Clean and Scentsable shares many different tips on how to stay organized this school year. So many different examples of prep work and organization projects to keep your family ready for the next day. I’m sure there are plenty of parents out there who have trouble getting the kids to do their homework. Check out this checklist and idea from Upper Elementary Snapshots strategies to manage homework mayhem. Family Maven has a list of sites to help get organized when it comes to getting those lunch boxes ready. Be sure to click on the link to I Heart Organizing. One of my favorite websites to visit when I am trying to figure out how to organize anything.